Joseph E. Ruth graduated from Villanova University in 1980 with a Bachelor of Arts Degree in History. In 1982, he received a Master of Arts Degree in History from the same University. In 1985, Mr. Ruth graduated from the Widener University School of Law. Mr. Ruth was admitted to the practice of law in the states of New Jersey and Pennsylvania in 1987. In 1991, Mr. Ruth became an associate with the Gruccio Pepper Law Offices, and became a Shareholder in the firm in 2002. Mr. Ruth’s practice focuses on the representation of clients in the trial of civil matters primarily involving the assertion or defense of personal injury claims. Mr. Ruth also handles criminal and municipal court matters, routinely appearing in the Superior Courts and Municipal Courts in southern New Jersey on behalf of clients who are charged with indictable, non-indictable, motor vehicle, and ordinance violation matters. Mr. Ruth has also served as a court-appointed arbitrator in personal injury and automobile accident cases, and similarly is selected to serve as an arbitrator in common law arbitrations. Mr. Ruth has also lectured at numerous seminars the themes of which focused on the handling of personal injury cases from initial consultation, to investigation and evidence gathering/conservation, to pre-suit negotiations, to the institution of legal proceedings, to discovery and ultimately to the preparation and execution of successful trial strategies that best represent the interests of the client. In 2002, Mr. Ruth’s trial skills were officially recognized by the New Jersey Supreme Court Board on Attorney Certification when the Court certified Mr. Ruth as a Civil Trial Attorney. 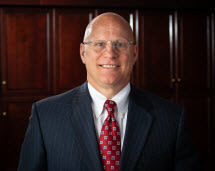 Mr. Ruth has since maintained his Board Certification and routinely attends continuing legal education classes to stay current with the legal, trial and ethical issues he confronts in his practice. Mr. Ruth is a member and former President of the Cumberland County Bar Association. He is also a member of the New Jersey State Bar Association, the Bar for the United States District Court of the District of New Jersey, the Bar of the United States Court of Appeals for the Third Circuit and the Bar of the United States Supreme Court. Mr. Ruth appears as trial counsel in Federal Court, and all the Superior and Municipal Courts in Southern New Jersey. Mr. Ruth has also served as a member of the District I Ethics Committee (DEC), responsible for investigating allegations of ethical violations committed by attorneys practicing within the district. In 2010, Mr. Ruth served as Chairperson of the DEC and thereafter was selected by the Office of Attorney Ethics (OAE) to serve as a “Special Ethics Master” responsible for conducting the hearings of complex ethics matters and reporting the results of those hearings to the OAE.